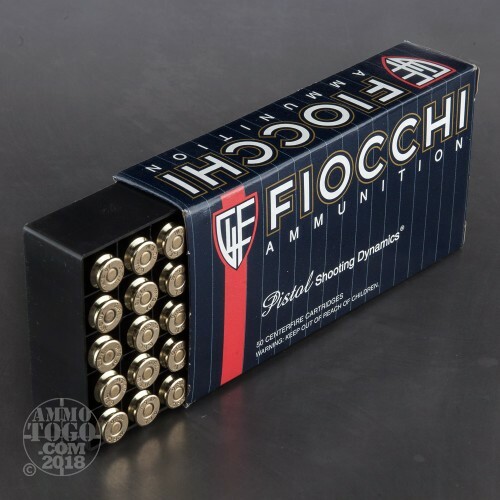 One of Europe’s oldest and largest producers of ammunition, Fiocchi is quickly building a reputation as a quality munitions supplier for American shooters. 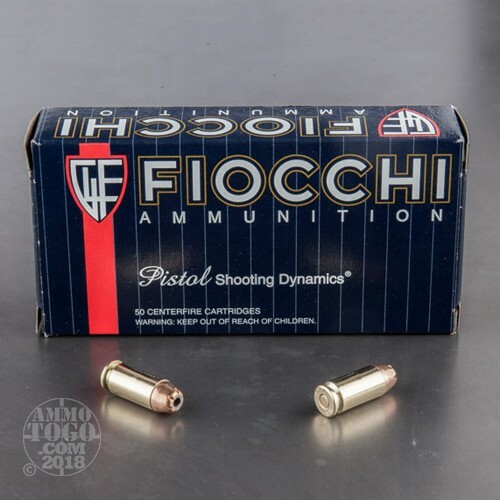 By harnessing the American spirit of innovation and combining it with the best Italian-style quality, Fiocchi delivers value, dependability, quality, and accuracy. 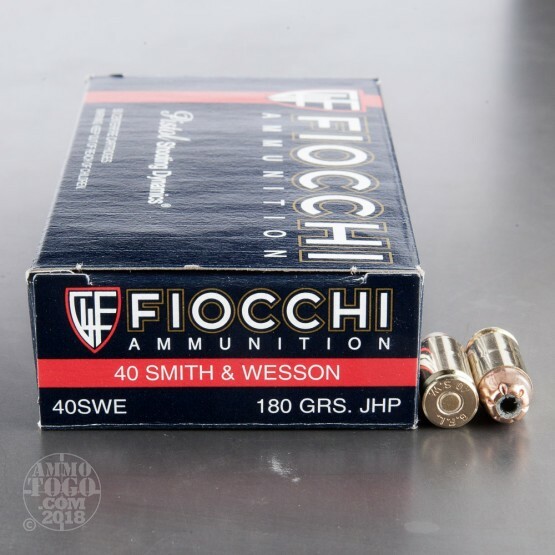 Fiocchi centerfire handgun ammunition is used by military and law enforcement agencies all over the globe. This package contains 50 rounds of Fiocchi .40 Smith & Wesson ammunition. 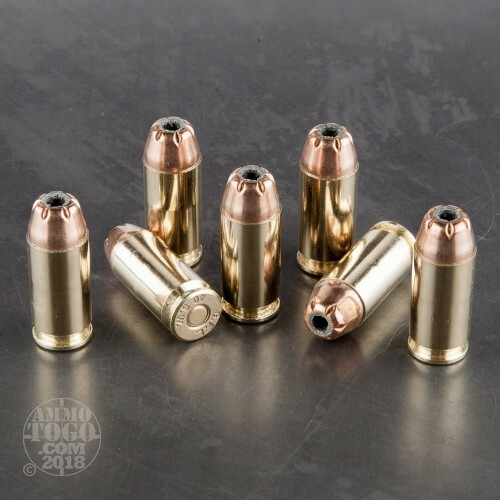 Each cartridge is loaded with a 180 grain jacketed hollow point projectile. Delivering massive terminal expansion, these loads are well suited for personal protection and home defense. This ammunition is factory fresh, 100 percent non-corrosive, and boxer primed. Fiocchi uses only quality components and carefully measures to provide reliable function and match quality accuracy. Each round produces a consistent muzzle velocity of 1000 feet per second and 399 foot pounds of muzzle energy.